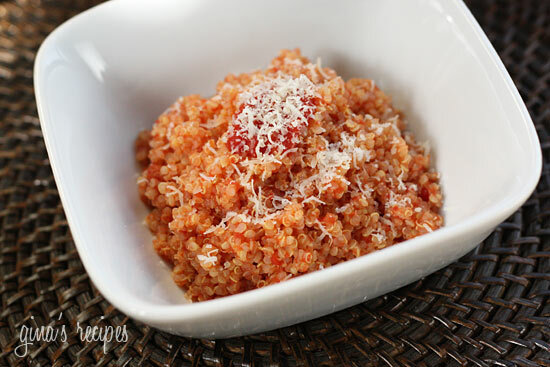 This risotto uses quinoa in place of rice and its delicious! 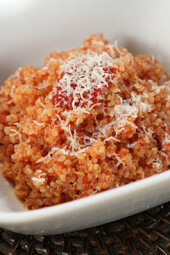 Combining cooked quinoa and leftover homemade sauce like filetto di pomodoro you can make a quick and easy meal. Much quicker to make than traditional risotto and loaded with protein, minerals and amino acids. A few of my other favorite risotto dishes are Carrot “rice” Leek Risotto with Bacon, Seared Scallops over wilted Spinach and Parmesan Risotto, and Spring Asparagus Risotto. In a medium sauce pan, heat sauce and chicken stock. 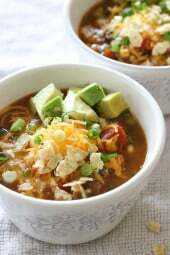 Combine with cooked quinoa and grated cheese and mix well. Top with extra cheese if desired. There is just a broken link in this article. Hello Gina , the link to the “homemade sauce” is broken. It seems the blog no longer exists. I would love to try this recipe but I can’t get my hands on the sauce! Where else can I find the recipe for this sauce? I’m new here, I recently tried three of your recipes – I loved them. Looking forwards to trying this one soon! Post Heart Attack diet does not allow cheese — any recommendations for substitutions? I recently gave up eating meat and have been making a lot of yummy veg recipes. I love your site and have for years…im enjoying trying vegetarian recipes i've skipped over in the past. I made this last night and mixed in broccoli and asparagus….so delicious! my husband couldn't get enough of it. Thanks Gina…another great recipe! This was really delicious. I used Classico pasta sauce, which tasted great. I also made half the recipe because there are only three of us. This was so good – I overdid the sauce to quinoa recipe, but it was fantastic. what type of quinoa are you using? I know there are different varities. Can't you figure out the calorie counts on your own? Last time I checked, most foods have the calories listed on the package…once you have that info, it's not difficult to add and divide. Gina's great enough to come up with these awesome recipes, photograph them, and do the WW points calculations. Don't be so lazy. I would love to have the calorie information for this – thanks! Would love the calorie count for this! Can you also give the calorie break down for this dish? Thank you! This is delicious…my 7 year old son loved it too! Do you have the specific nutritional information so I can calculate the new WW "points plus"? If not, no problem…I will continue to make this! all the points are already in the recipes. right above the ingredients.. 7 pts for an 8 oz serving. Yes, it might even triple in size. 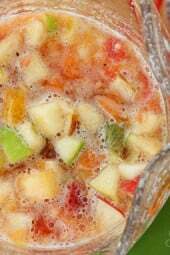 When I have extra, I use it in other dishes or add it to my soup. I have a question! 🙂 I've never made quinoa before. Does it double in size like rice? So would 4 cups of cooked quinoa really be 2C uncooked? I just want to make sure I cook up the right amount for this recipe! Thanks! You're welcome Carolynne, tastes like Pastina to me! MMM! I have just made this for the 2nd time tonight. Absolutely delicious 😉 As I didn't have any homemade sauce, I just used canned tomato sauce and added spices! It was super good. I also added shrimp to it to get some protein. Thank you Gina for the lovely recipe! I so love quinoa! Ive never tried it in risotto – thanks for the inspiration! I am always looking for new ways to use it! Gina Oh that looks so good thanks for sharing. I love using quinoa in place of other grains. 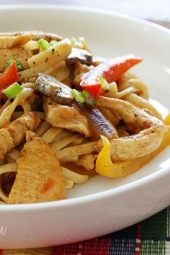 I’ve made something similar to this dish using chicken and it was amazing. I am so going to try this. We are becoming flexitarians, reducing the amt of animal protein we are consuming, and I understand this is a complete protein. Thanks for both of the quinoa recipes! Oh YUM!!!!!! I KNOW I would like this!